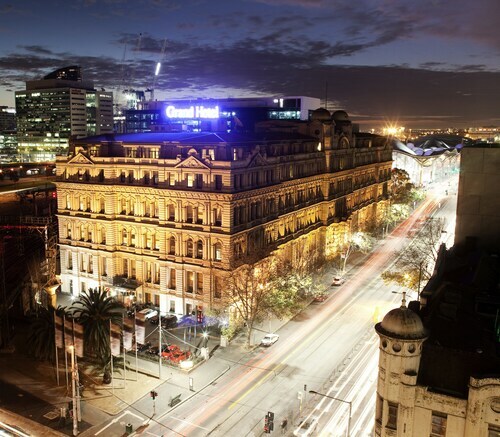 Located in Melbourne Central Business District, this luxury hotel is within a 10-minute walk of Treasury Gardens, Federation Square, and Princess Theatre. 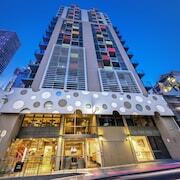 Forum Theatre and Flinders Lane are also within 10 minutes. Parliament Station is 8 minutes by foot and Flinders Street Station is 9 minutes. 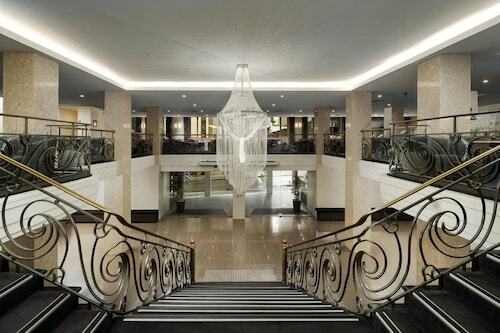 Situated in the business district, this luxury hotel is within a 15-minute walk of St Kilda Road and Shrine of Remembrance. Royal Botanic Gardens and Australian Centre for Contemporary Art (ACCA) are also within 1 mi (2 km). South Yarra Station is 20 minutes by foot and Richmond Station is 27 minutes. 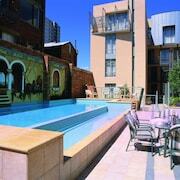 Situated in the entertainment district, this luxury aparthotel is within 1 mi (2 km) of Chapel Street and Alfred Hospital. Royal Botanic Gardens and Rod Laver Arena are also within 2 mi (3 km). South Yarra Station is 6 minutes by foot and Hawksburn Station is 16 minutes. 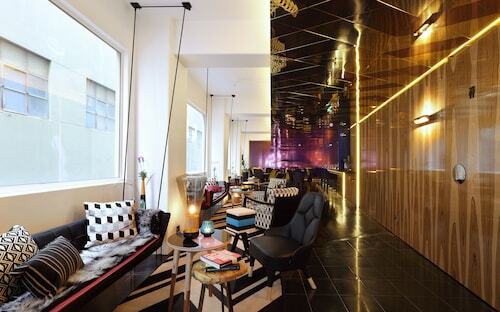 Located in Melbourne Central Business District, this luxury hotel is steps from Yarra Riverfront, Federation Square, and Flinders Lane. Regent Theatre and Forum Theatre are also within 5 minutes. Flinders Street Station is only a 4-minute walk and Parliament Station is 12 minutes. 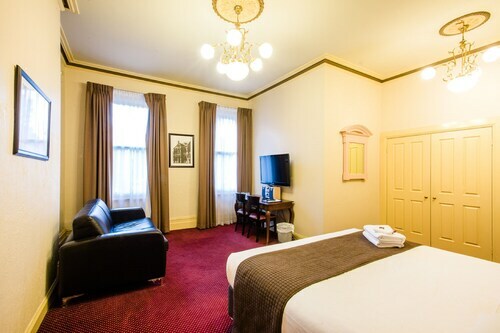 This family-friendly Melbourne hotel is located in the entertainment district, within a 15-minute walk of Princess Theatre and Melbourne Central. Melbourne Cricket Ground and University of Melbourne are also within 1 mi (2 km). Parliament Station is only a 3-minute walk and Melbourne Central Station is 14 minutes. 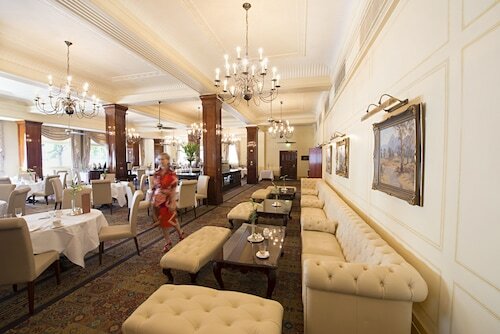 Situated in the entertainment district, this luxury hotel is 1.2 mi (1.9 km) from Royal Botanic Gardens and within 3 mi (5 km) of Melbourne Cricket Ground and St. Kilda Beach. Luna Park and Melbourne Central are also within 3 mi (5 km). South Yarra Station is only a 3-minute walk and Prahran Station is 18 minutes. 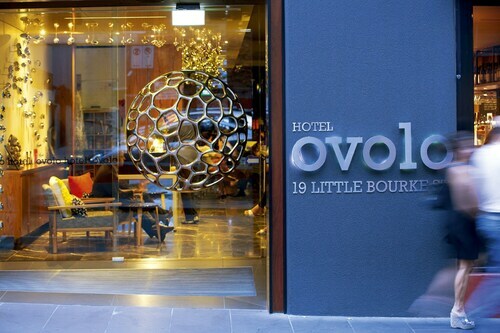 Situated in the business district, this boutique hotel is 0.3 mi (0.5 km) from Swinburne University of Technology and 3 mi (4.8 km) from Melbourne Cricket Ground. Bridge Road and Toorak Road are also within 2 mi (3 km). Glenferrie Station is only a 4-minute walk and Hawthorn Station is 14 minutes. Located in Melbourne Central Business District, this luxury hotel is within a 5-minute walk of Yarra Riverfront and SEA LIFE Melbourne. Melbourne Convention and Exhibition Centre and DFO South Wharf are also within 15 minutes. Southern Cross Station is 6 minutes by foot and Flagstaff Station is 19 minutes. 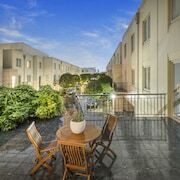 This family-friendly Prahran hotel is located in the entertainment district, within a 15-minute walk of Chapel Street and Alfred Hospital. St Kilda Road and Fitzroy Street are also within 1 mi (2 km). Prahran Station is only a 5-minute walk and South Yarra Station is 12 minutes. Admit it, you’ve always wanted to live a day in the life of a Melbournian. To stand on the shores of Port Philip Bay with a cosmopolitan city at your back would make you as happy as a pig in you-know-what. We feel the same way. Enjoy a long weekend in the hub city of Victoria and soon you’ll be sipping cocktails on a rooftop and skipping down the St. Kilda pier. Care to invite us? Pretty please? 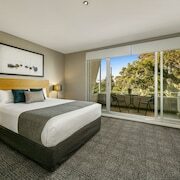 At the end of long days spent in the sun, Melbourne boutique hotels are waiting to welcome you back to comfortable rooms and excellent service. We dare you to think of a more perfect holiday. 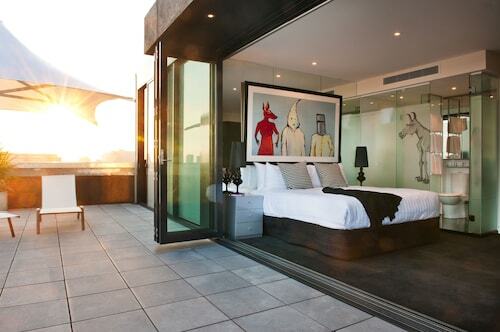 From the moment your peepers pop open at one of the charming boutique hotels in Melbourne, be it The Prince or Art Series - The Olsen, you’re ready to get out and see why this city is so popular all year round. Mellie wouldn’t dare disappoint you; here are just a few of the ways to pass the time during your visit to Australia’s Second City. Cruise Great Ocean Road: This Australian National Heritage-listed highway is perhaps the most famous in Australia. It runs for more than 240km along the southern coast of the country, and it’s easy to hop on it from Melbourne. You’ll see waterfalls, you’ll stop for lunch, and you’ll do whatever you darn well please. Shop Queen Victoria Market: The largest open-air market in the Southern Hemisphere is full of vintage finds and fresh produce. You can buy everything from lavender French soap to BBQ street food. Cheer at Melbourne Cricket Ground: Mellie is known for its athletic prowess. In fact, you might say it’s the sports capital of the country—at least, we would. Between March and September, you can paint your face red and black in support of the Melbourne Football Club at the Melbourne Cricket Ground. Melbourne certainly helps you work up an appetite, what with all the walking and water sports and general tomfoolery. But don’t worry, the city also offers up plenty of ways to fuel back up. You might say it offers opportunities on a platter, but only if you like bad puns. Ethiopian food fills the streets of Footscray with irresistible savoury scents, and the fine dining at restaurants like Igni are worth the splurge. 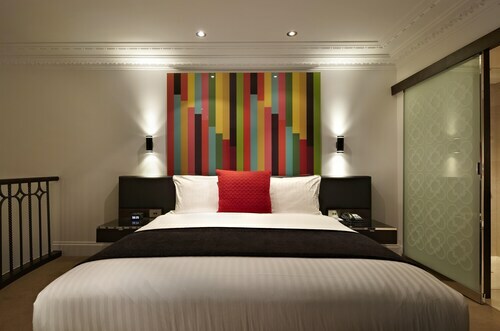 If you’re knackered after a day of play, consider bringing some takeaway home to your Melbourne boutique accommodation. Eat it in front of a fireplace or with your feet up on a coffee table—no judgements here. 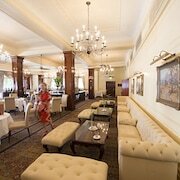 Wotif’s boutique Melbourne hotels are chockablock with charm and offer the privacy lacking at big-name high-rise hotels. 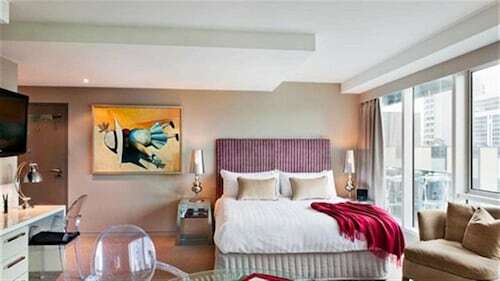 Cosy up with your partner, or have a friends’ getaway and drink wine in your quaint accommodation. 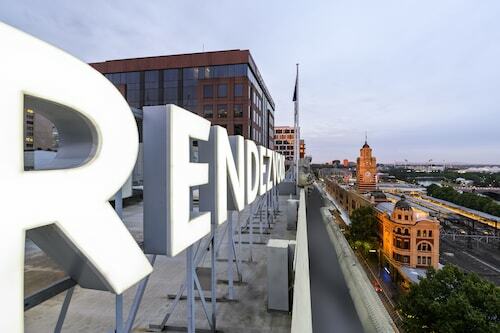 The best boutique hotels in Melbourne are dripping in personality and history, ensuring that your holiday is one to remember. Pack your fine dining attire and your new swimwear—it’s time to set sail to Mellie! 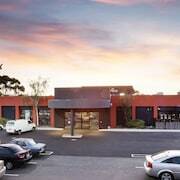 Clean room, great location and helpful friendly staff.